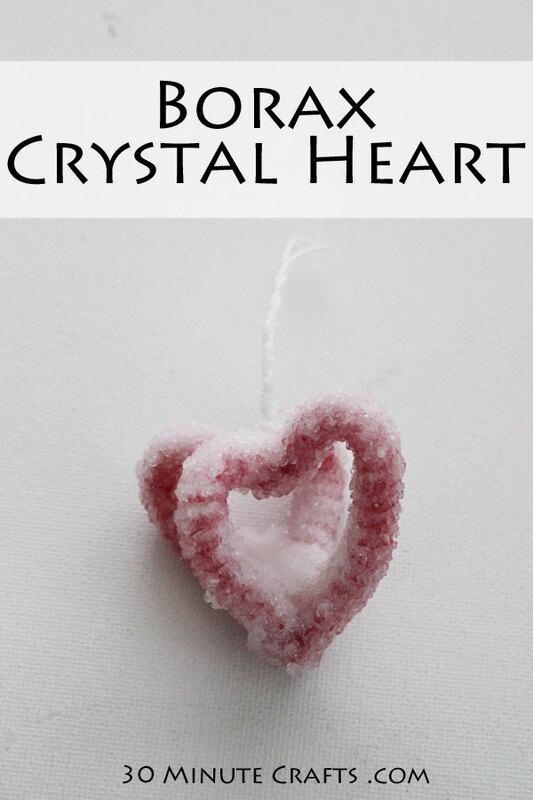 This Crystal Heart is a fun Valentine’s Activity to do with kids. My boys and I made Crystal Snowflakes as part of our Snow Party over break, and they loved them! 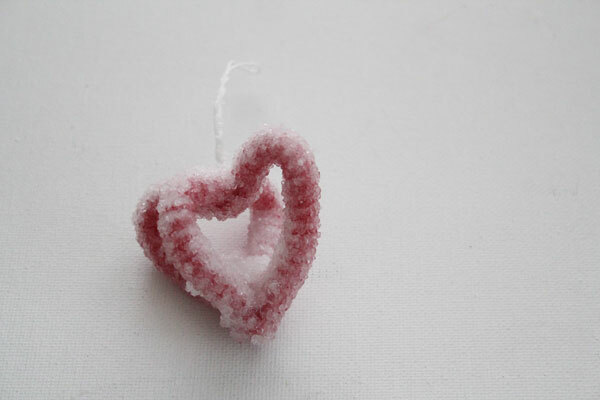 These crystal hearts are made using Borax, which you can find at your grocery store, and basic craft supplies. You’ll want to pour the hot water for them, but they can do most of the other steps themselves – and when they pull out their crystal hearts in the morning, they’ll be amazed! 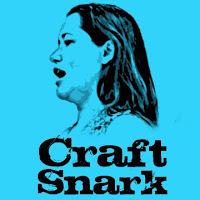 This post is part of Craft Lightning week. 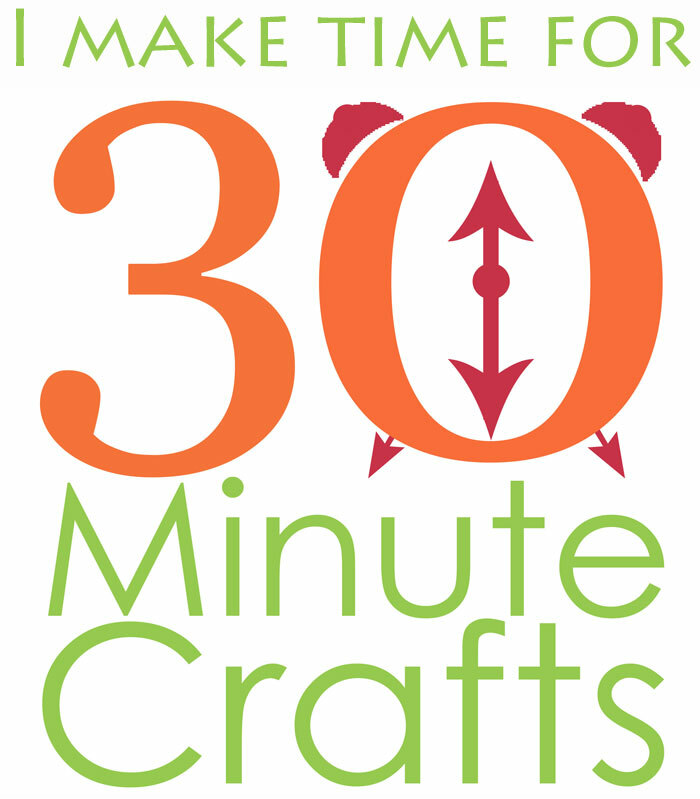 All week long, along with my co-host Angie from The Country Chic Cottage, and our guest-host, Jen from 100 Directions, we’re sharing fast Valentine crafts that you can make in 15 minutes or less. 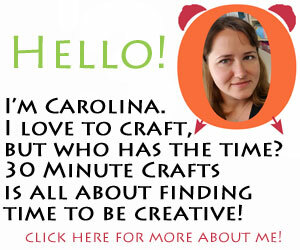 And each day, we’ve challenged our crafty friends to come up with their own 15-minute-or-less Valentine’s crafts. 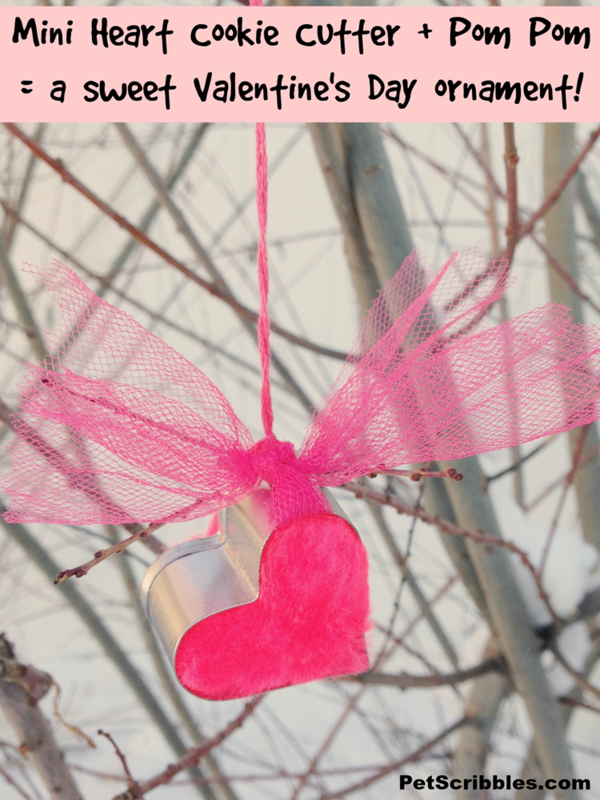 Check out today’s ideas at the bottom of this post, and be sure to check out Monday’s fast Valentine Crafts if you missed them. 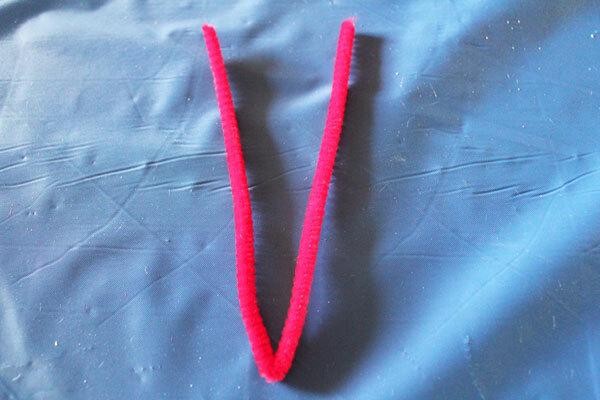 Fold your red pipecleaner in half. Twist in half (almost – you want the top to be about 1/2″ longer than the bottom). 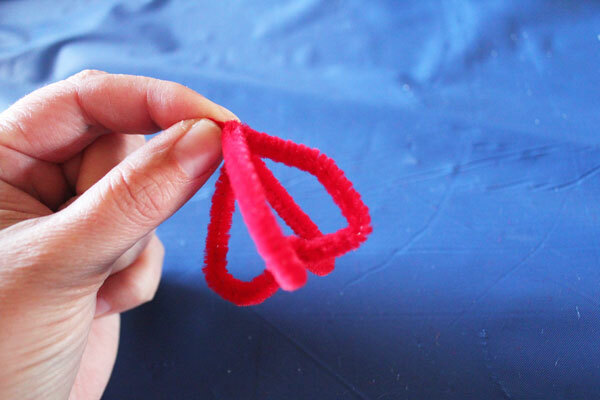 Bend into a 4-part heart shape. 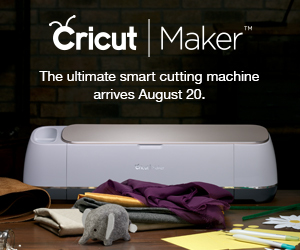 Secure the bottom 1/2 inch of the loose ends. Tie a string to top. 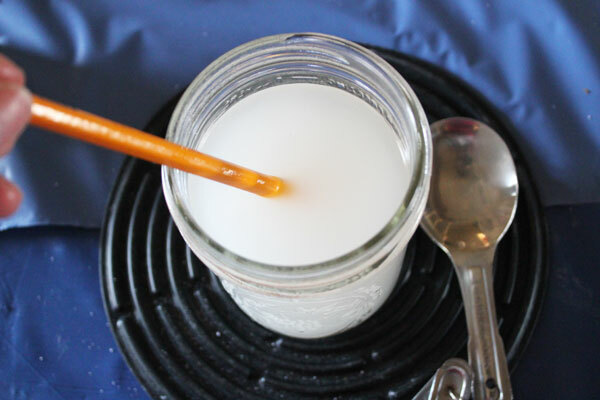 Put 3 tbsp Borax into the mason jar. Fill with boiling water. 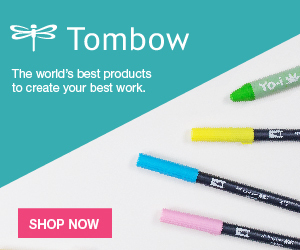 Stir with end of pencil. 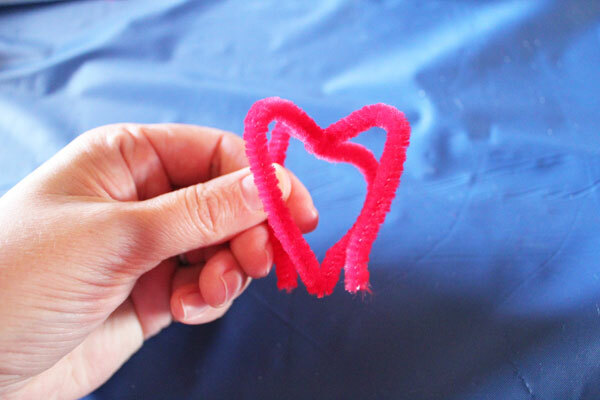 Crystals have formed all over your pipecleaner heart, and you’ve got a “gemstone” on your hands! 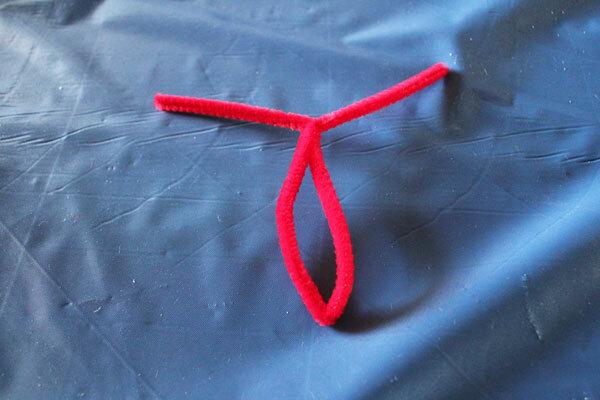 Kids will be amazed at how their pipecleaner creation turns into a sparkly stone overnight! 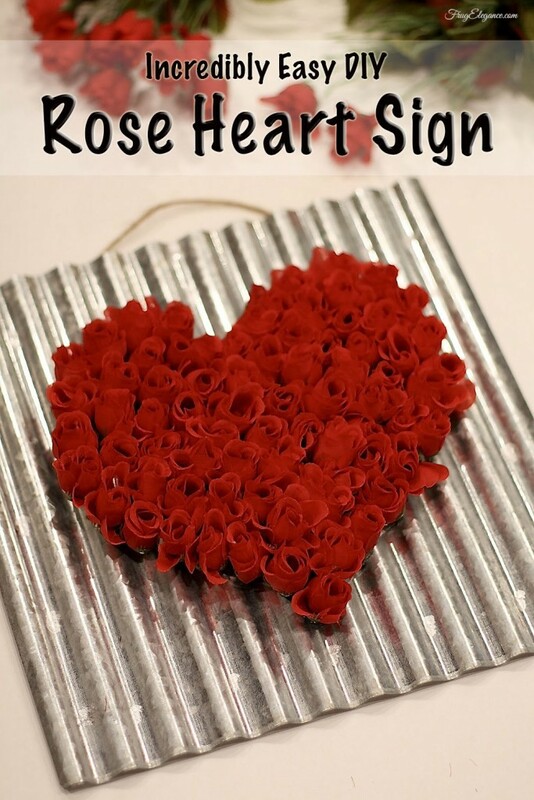 Over at FrugElegance, you can see how easy it is to make this rose heart sign. 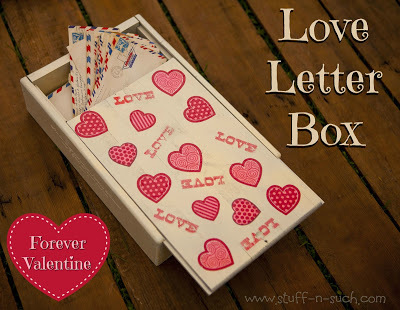 Lisa at Stuff N Such made a Love Letter Keepsake Box. 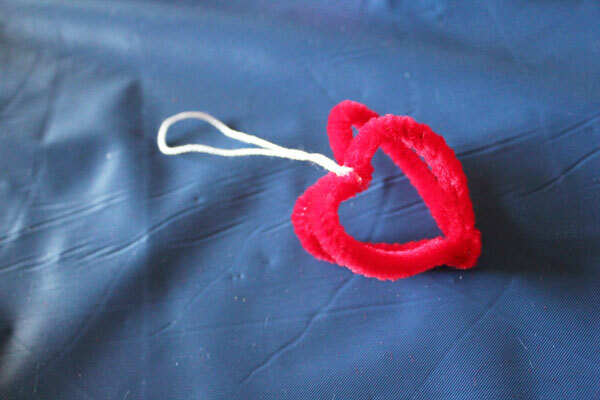 At Pet Scribbles, Laura made this easy ornament for Valentine’s Day. 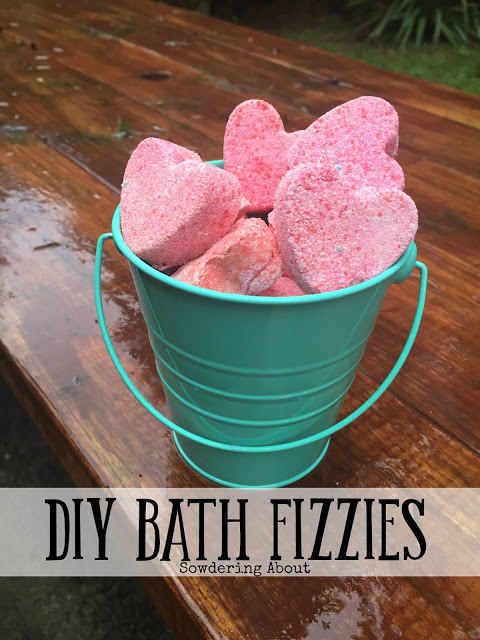 You’re going to love these bath fizzies that Randi from Sowdering About whipped up. 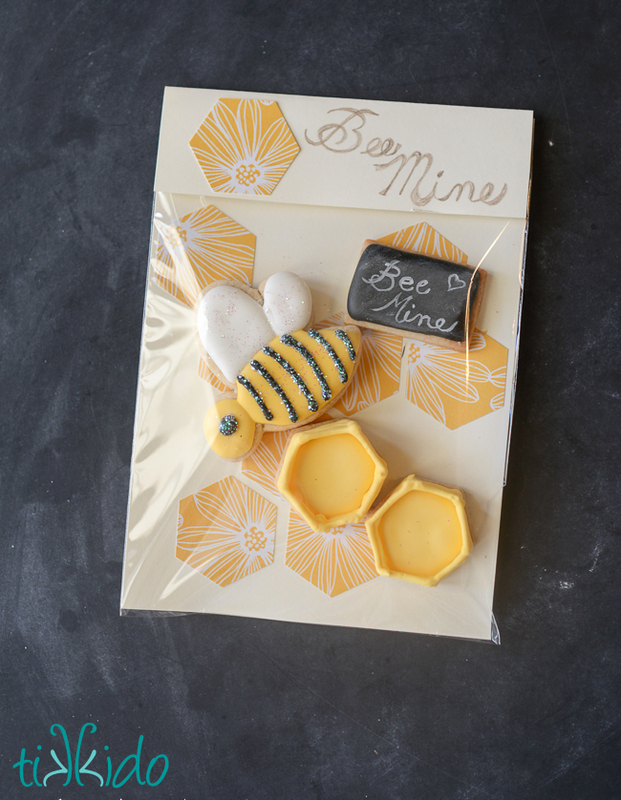 How adorable are these packaged treats from Tikkido? 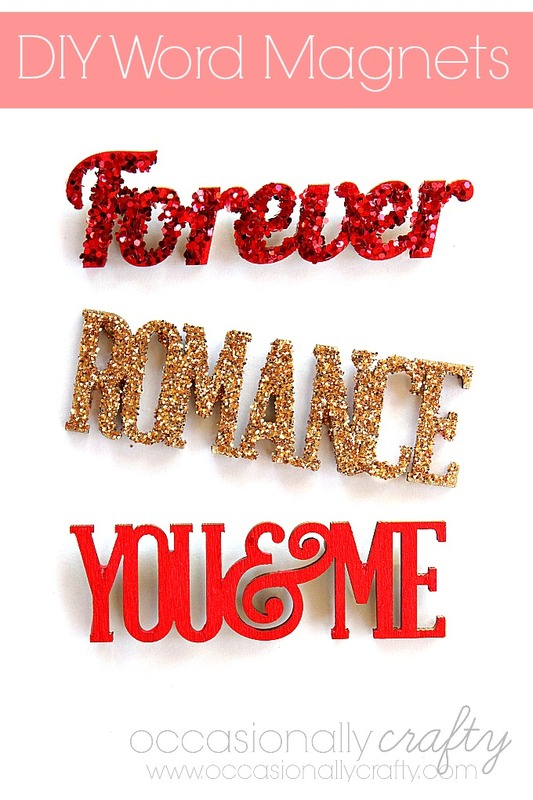 Occasionally Crafty whipped up these fun word magnets. 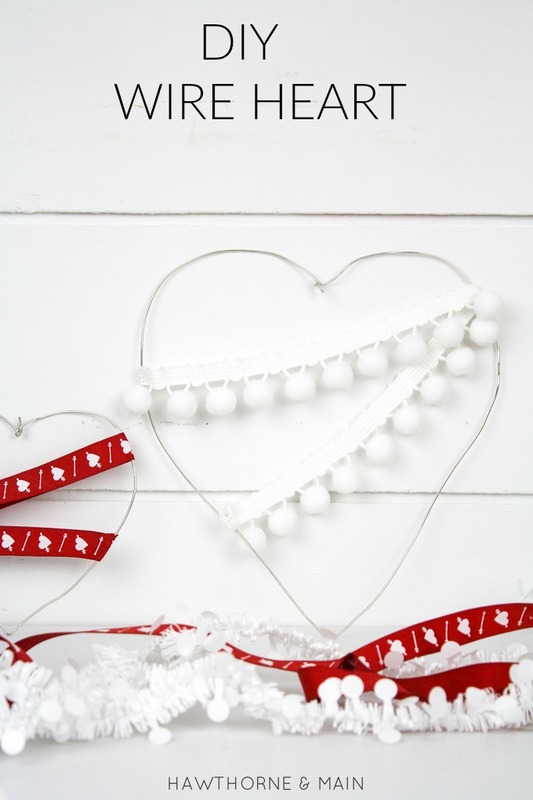 These simple wire hearts from Hawthorne and Main can add some fun to any decor. 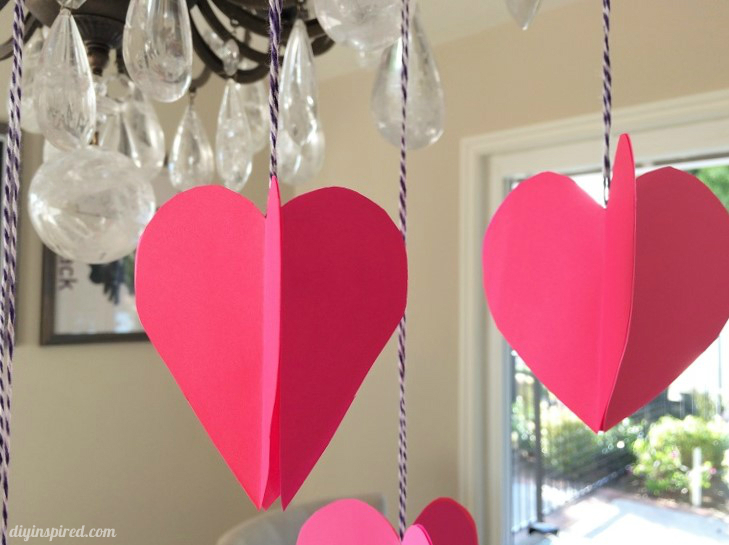 Don’t you just love these 3D Paper hearts that Dinah from DIY Inspired Whipped up? 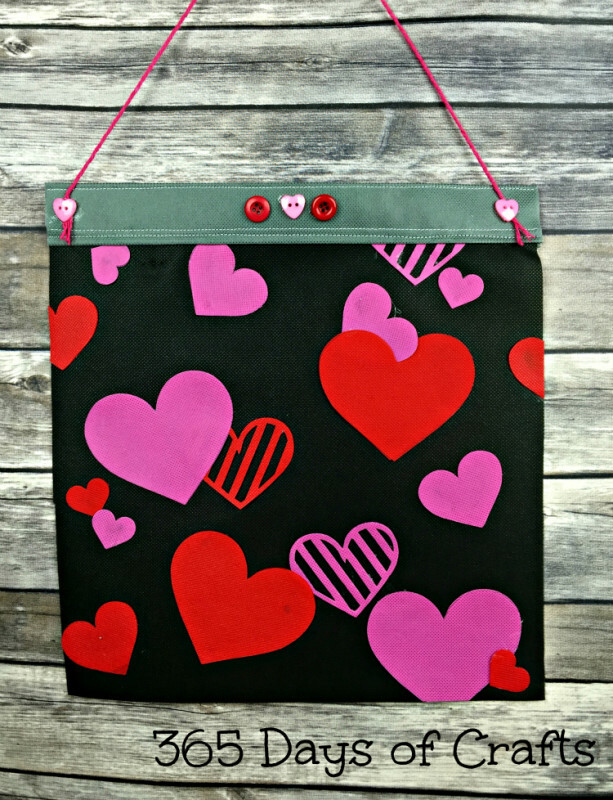 And this Heart Flag from 365 Days of Crafts is cute enough to stay up year round! 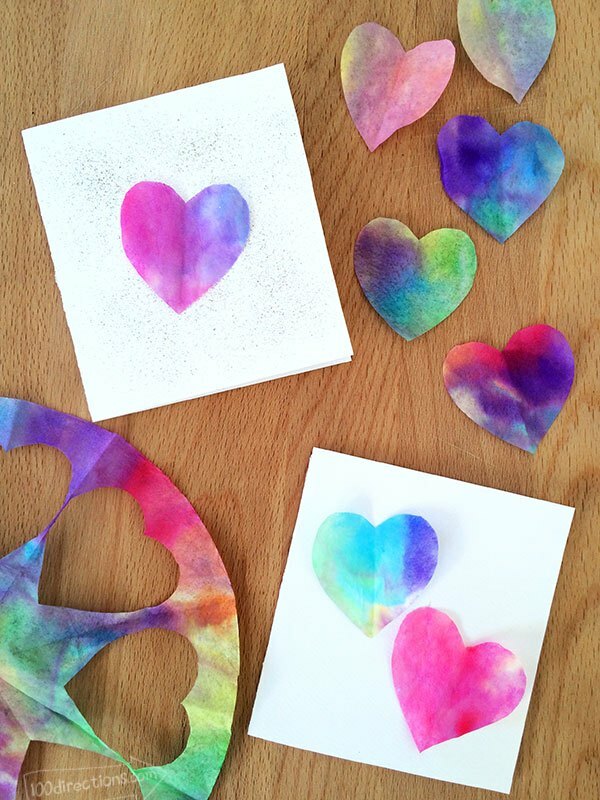 Jen Goode from 100 Directions, our guest co-host for the series has some fun watercolor hearts. 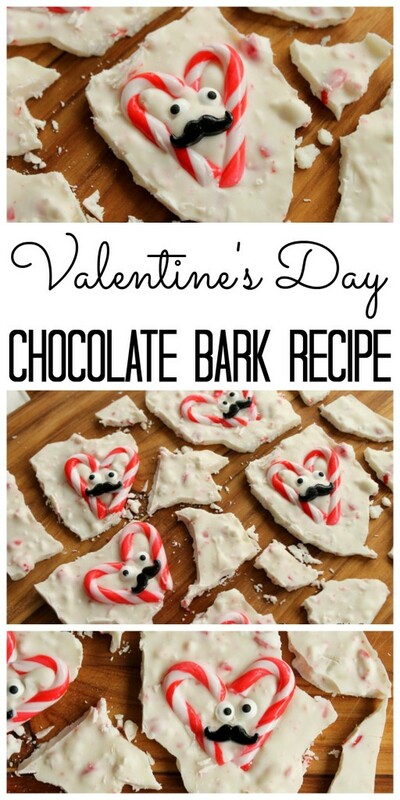 And Angie from the Country Chic Cottage, my co-host, created this Valentine’s Bark. 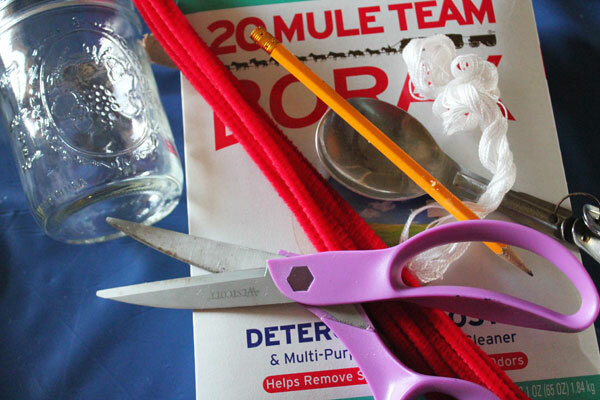 Be sure to stop by tomorrow for even more Valentine’s Day Crafts you can whip up in 15 minutes or less!